“You’ve got Internet in the Empty Quarter?” he asked in an awed voice. Cousin, said the shadow, we’ve got WiFi. The following short video includes some of Neil Gaiman’s thoughts on writing, especially on the importance of writing in order to become a writer. He also touches on reading, first drafts, and more. The audio is from a Nerdist podcast, but the video was put together by YouTuber Brandon Farley. On a whim, I decided to undertake a reading challenge for 2015. It only makes sense to do it because sometimes I get caught up in other narratives (ah, Netflix, my sweetest downfall…I loved you first. I loved you first…) and honestly forget how much I enjoy reading. There’s something magical about the written word, and it’s quite a different experience to watching a story visually unfold. Just as I had a really good reason to tune out the world in favor of Doctor Who (reboot) marathons, I also had a really good reason to pick up this reading challenge. Writers need to read: it’s as simple as that. Need. Not should, ought to, probably would be better off if they did, but need to read. 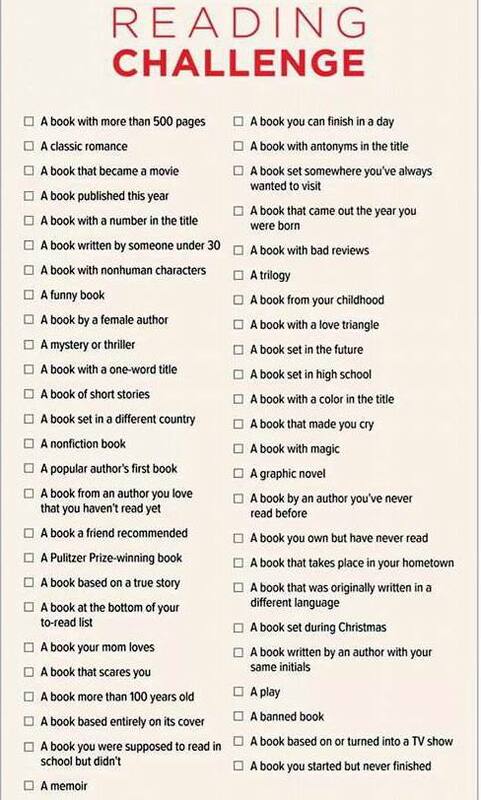 So when I stumbled across a reading challenge, I decided, “Why not?” and committed to reading 50 books in a year. For someone who reads slowly, this is no small commitment, so I’m trying to balance my more serious reading with lighter fare. So this is where I’m at so far in the challenge. I’ve read a decent chunk of YA lit, but I’ve also read several good nonfiction books and dabbled in the classics. I only regret a few books on this list, so that’s not so bad, eh? *If you or someone you know has suffered a miscarriage or other pregnancy loss, I highly recommend this book. I know I’ve got something for this. These Sunday Links are all about Writing!